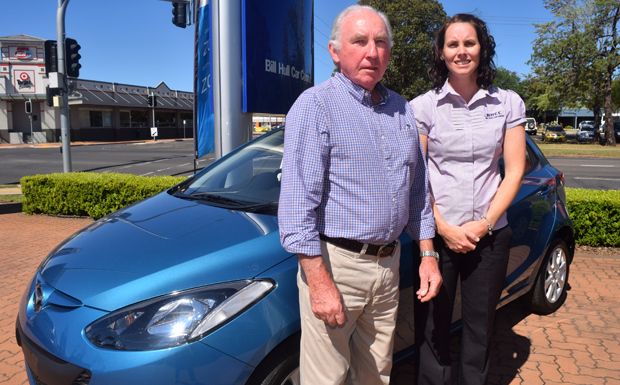 Bill Hull Car Centre in Kingaroy Street will be hosting the Kingaroy Chamber of Commerce and Industry’s Annual General Meeting – and last meet’n’greet for the year – on November 20. The AGM will begin at 5:30pm, to be followed by the meet’n’greet. Cost to attend the meet’n’greet is $10. Guest speakers will be Bill Hull dealer principal Jacqui Trace and Damien Martoo from The Martoo Review. John Carey and Kristy Frahm, from the Red Earth Community Foundation, will be updating members on the Foundation’s latest activities.